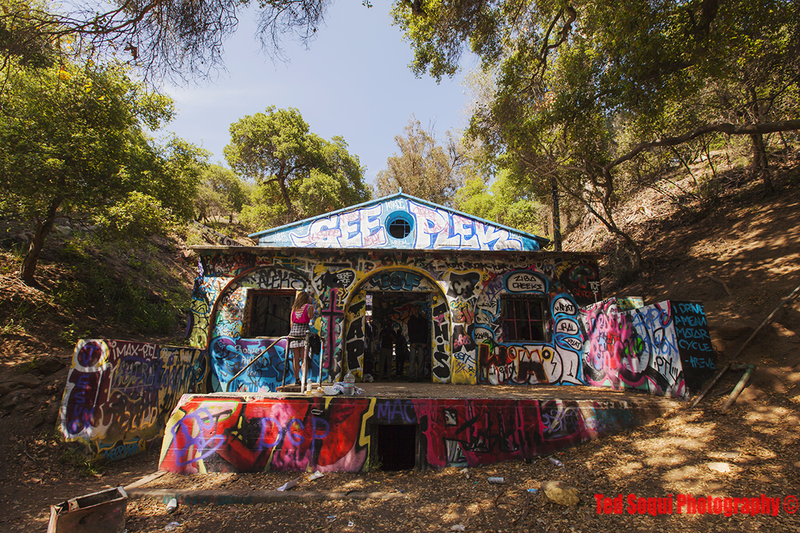 Murphy Ranch hidden deep in the hills of Will Rogers State Park is set to be demolished. The ranch was built by Nazi sympathizers right before WW2. It was a self contained ranch with it's own garden, water supply, and power plant. 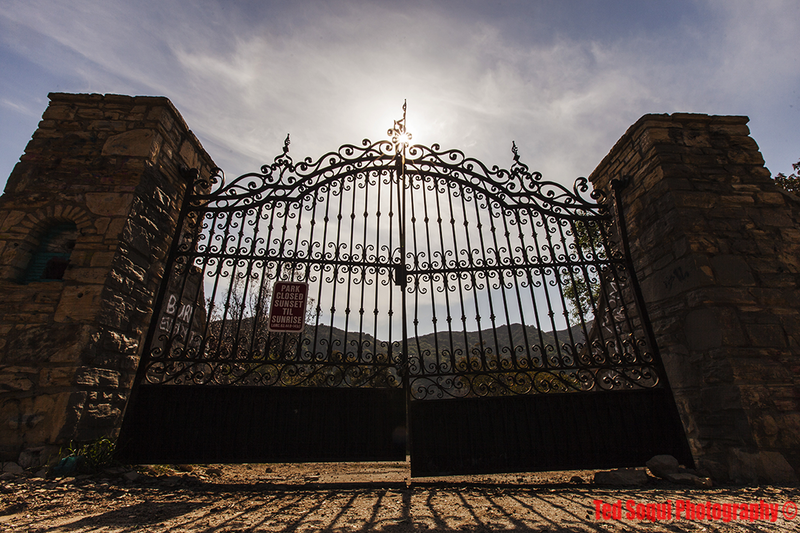 It was set to become the west coast headquarters for the 3rd Reich if Germany won the war. 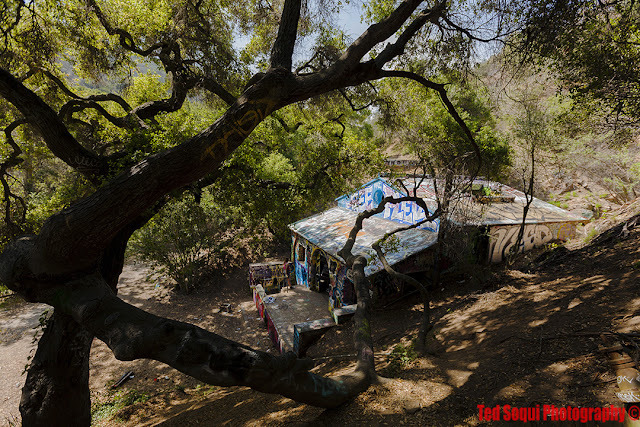 After the war it served as an artist camp and hideaway for the counterculture. A fire in 1978 burned most of it to the ground. A few heavy cement building survived but are now slowly crumbling away. The ranch has turned in to a nuisance for local residents as it attracts taggers, rouge partiers and illegal filming. Local rangers ticket hikers in the ranch area for trespassing because it's generally off limits to the public. An oak tree and the power house.